Clutch stick out like a sore thumb on this list, their bluesy, bar-room Hard Rock seemingly at odds with the overly Progressive nature of much that has been included so far. But, and that’s a very big but, their inclusion is thoroughly deserved and their back catalogue over the last 14 years is as consistent and impressive as any band already discussed. More importantly, sometimes the influx of bands experimenting with progressive, patience-testing, Art-Rock meets Jazz-Fused-Heavy Metal becomes too much to stomach. Sometimes, you just need to Rock out without first obtaining a PHD in Meta-Physics and Music Theory. Sometimes, you just want a band to plug-in, turn it up to 11 and smash your face-in with some balls-out, primal Rock fury; luckily Clutch are that band and Blast Tyrant is the album that delivers on every level. Groove literally seeps from every pore of this record, their low-slung, rugged and bull-crap free songs providing a welcome, honest, break from Metal’s all too-frequent flashy gimmicks and one-upmanship; give “Promoter Of Earthbound Causes” or “The Regulator” a spin, you’ll be grinning and head-banging like a loon within minutes. Thanks to Clutch we can all “dance the good time dance” and experience what Metal is all about; having fun, banging your head and going wild. 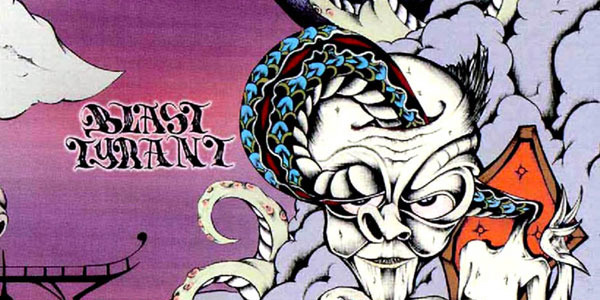 In other words, Blast Tyrant is pure escapist joy from the first, whiskey-soaked, ditty to the last.